Who doesn’t love a classic endless runner? Now throw in some environmental awareness, color coordination, and raw skill. Match the color and pick the direction to see how long you can endure on this fast pace random endless path. ColoRun is a mutt of many different games, better yet a game of its own breed. 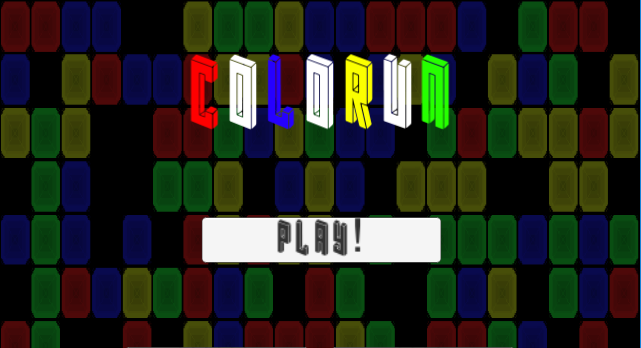 It’s an endless color matching puzzle runner, how simply complicated does that sound? You start off on a board of square tiles all the same color. Your first thought is to smash an arrow key, but that doesn’t do anything. 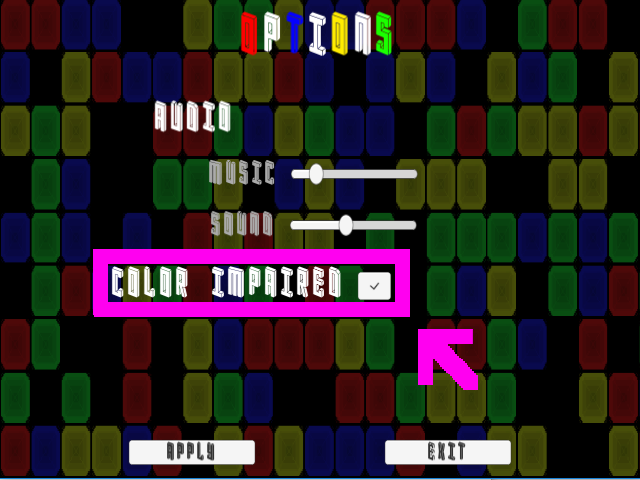 By changing your player colors to match the square ahead, you’re able to move. Doing so a new row of squares appear, but you don’t stop there. You want to know what’s to come. Next thing you see is a warning sign. Looking in the direction you see tiles disappearing rapidly in succession coming your way. Your only options are to take flight in the opposite direction or wait to see what happens when that last tile falls underneath you. Pause! You think waiting to see what might happen is a viable option? Funny there is no waiting to see what happens in ColoRun, every second you take to think is a second less you have to react. You take flight in the opposite direction that opens a new world to different color tiles, special power ups, and nonstop randomized fun. Quickly and precisely swap between four distinct colors (Red, Blue, Yellow, and Green) in order to slide between randomly generated tiles and away from the ones disappearing underneath you. While in the heat of the moment you might get lucky. Don't think there are giveaways though. Skip 2 my tiles! in the direction of your choice, just don't get caught in the wrong place. Stop those tiles from disappearing red uhhh blue, yellow, and green handed. Very handy if you ask me. There's a color impaired toggle in the options. My goal is for everyone to enjoy this game no matter their circumstances. I enjoyed developing this game from the restless hours and constant headaches. It was created at whim, from an experience playing the original Brown Box BY MYSELF AT THAT! In the moment I realized how a simple game, without something like an in-depth story line or crazy linear progression, could bring so much joy and amusement to someone. I became inspired to take this feeling I got and bring it to others attention from the product of my two hands. Every smile I received out of the many frustrated faces made every second creating this game completely worth it. Contemplate on a design first before completely solidifying it. I rushed into this with a half sorted idea and got lost in moments that should have been figured out awhile ago. For example the creation of the tile generated board. Instead of just jumping head first (which is who I am) I should have took some time to plan out the idea, pseudo-code necessary parts, and then implement everything. Learned how to manipulate and create a quasi-random grid. This was my first issue and hosted many different variations of problems. The importance of play testing and user feedback. In the beginning of development I sought out as much possible feedback from my friends and others. This allowed me to find small bugs and tinker with the UX. I also acquired great ideas from different players, some were implemented into this game as well others. Have your audience in mind and then add on people who might not want to play your game and think about them. This is where I got the inkling that I needed to add on some type of Color Impaired option. I had no clue about how being color impaired could completely hinder someone from playing and enjoying a game. All it took was a few hours of research and manipulation of colors. Worth knowing more people have the ability to be comfortable enjoying my game. First thing I would change is to add a character selection menu and ways to unlock characters. I solidified the idea last minute, but didn't get to implement it. Change the in game UI so it's aesthetically pleasing. Having numbers in plain white text is not the way to go. Research more and redo the mobile controls. The current control options seem very bulky and not very intuitive. She definitely needs a lot more polish too. There's a few bugs that have a minor effect on the game play.